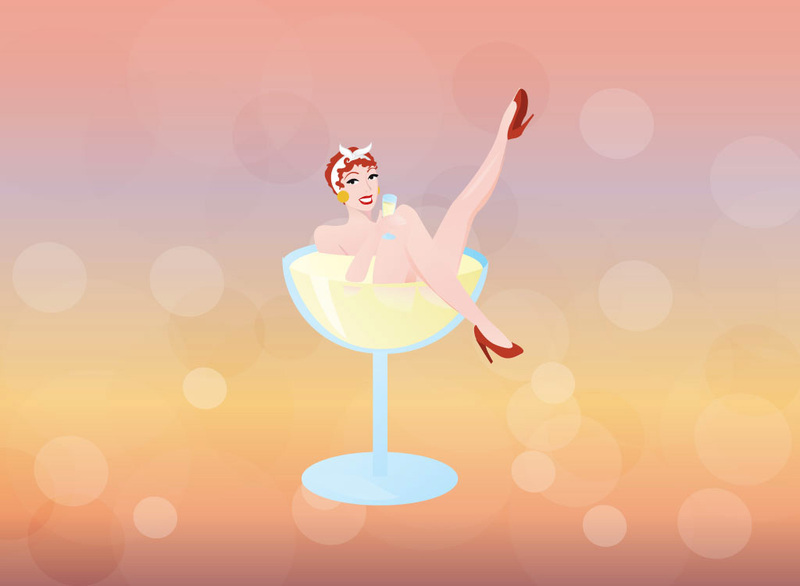 Vector cartoon pinup of a beautiful retro woman holding a drink and sitting inside a giant cocktail glass. Add this free download to a vintage car show poster or create a cool retro desktop wallpaper. Fun graphics that are inspired by the original hand painted pinup art of days passed. Tags: Alcohol, Bar, Beverage, Café, Drink, Girl, Glass, Party, Retro, Woman.